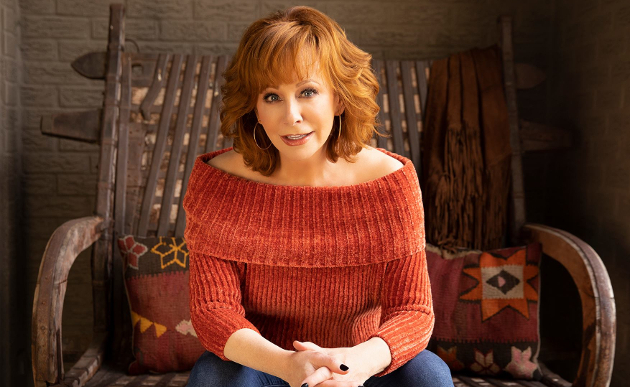 Reba McEntire is about to release a new album on April 5th called Stronger Than The Truth, and this release may be way more significant that just a late career entry by an aging star that country radio has long since put out to pasture. Reba already promised us it was going to be the most country record of her career, and judging by the early singles, this is not hyperbole. And it’s not just country, some of these songs are pretty incredible entries for any genre of music, and may challenge for some of the best in Reba’s legendary career. But Reba’s career hasn’t always been country. She’s most certainly veered well into the pop and contemporary realm. But in a new interview with the PBS New Hour, she reveals that this wasn’t always her call, just like it isn’t for a lot of artists who are signed to country music’s major labels. Reba also spoke openly about Bro-Country, though she didn’t use the term specifically. She also let it be known where she wished country music would go in the future. Reba may be right that aside from some exceptions, country music is becoming more country in the mainstream in the aftermath of Bro-Country’s dominance, with artists like Luke Combs and Midland finding serious traction in their career, and even George Strait reappering on the radio. Reba’s Stronger Than The Truth may give country another serious nudge in that direction. Reba also addressed the ongoing women in country music issue. When announcing the nominees for the ACM Awards recently, Reba remarked, “I’m missing my girlfriends on this” when reading off the all male nominees for Entertainer of the Year. When talking with PBS News Hour, she also made sure to underscore that for any artist to succeed, hard work and sacrifice are necessary. The interviewer then read a quote from Reba from a separate interview. Reba McEntire will be hosting the 2019 ACM Awards on Sunday, April 7th. Her entire new record is streaming at the moment on NPR. Those Oklahoma women know how to put their head down and get the job done! I should know – I’ve been married to one for many years. Really looking forward to Reba’s new record and the direction it could steer things. Reba still has an amazing voice. I really doubt there are many other singers who have voices 10,000 times better than her, lol. Reba is the real deal. Nuff said. While Reba should be commended for speaking out, at the end of the day as we have seen with other artists, this won’t move the needle one iota on Music Row. Much like news media is now crafted to rile our inner-tribalism up, modern Country music is entirely dictated by what can get trending on YouTube or Spotify. Record companies will continue to cycle through whatever trend they think the tweens and frat boys want. I don’t see this trend changing until the industry collapses, and even then I worry what would get caught in the fallout. No enjoying this new stuff at all. Awesome! !,it’s like going back in the good ol Reba day’s.I loved that song,bring us some more!!!!! All of our great singers,Alan Jackson,George Strait,Brooks& Dunn,bring them all back. Reba came to prominence at a time when country traditionalists were taking over the charts (Strait, Jackson, Skaggs, Travis) and pushing out artists who had veered more toward contemporary/pop sounds (Rogers, Mandrell, Milsap, Gayle). She was part of that return to “real country” but as time wore on she was pushed more contemporary by radio, record labels, etc. I am very much looking forward to this new record from her and am glad she can be a leader in country music for both women and traditionalists. Didn’t she praise Dustin Lynch & invited him to the Grand ole Opry? Yes, she did the announcement speech for inducting him into the Opry. But, if you watch it, she actually talks solely about her own experience with the Opry and its greatness. She doesn’t say anything laudatory about Dustin himself, while of course not saying anything derogatory either. To be honest, I highly doubt she knows much of anything about him or his songs. It’s routine for the Opry to get an established member to do the presentation during a regular Opry night. It don’t mean a thing if it don’t have that twang. ……Yes. Pedal Steel Guitar… Use it please. Yes, please. MORE fiddle and steel guitar. On my knees, thankful for Reba. Congratulatios on your new album, can’t wait to hear it all. No one will ever sing like Reba. I wish radio would play what we want to hear . I wish we could vote for the artist, there would be a lot more country votes from me. No more Sam Hunt, Brothers Osborne, ect…. kind of music. Now they can all sing, just not country. This New Country everyone calls country should be in the pop/ rock area of music. How the hell can you lump Brothers Osborne in with Sam Hunt? I wish radio would play what we want to hear. Yes please !! Real country music again!! Steel guitar and fiddles. Not like this new junk. Who remembers Reba and Faith Hill sitting in from row seats at the CMA’S THE NIGHT GEORGE STRAIT and ALAN JACKSON sung “MURDER ON MUSIC ROW.” If looks could kill seems there would have been two dead ducks on stage. Good for George and Alan. Country’s best Country Singers. Does Reba still have involvement with management for Shelton and Kelly Clarkson alone with Blackstocks……. As the younger me generation abandoned their roots of living country and the rules we lived by and started catering to the mamby pambies and alternative life styles. That is what killed country!! I disagree with that I’m 17 and I still enjoy Real Country. I listen to Hank to Waylon to George Strait. And all I can say is radio country is dead, Bit country ain’t dead yet. Nah. What happened is the bean counters at radio and the labels discovered there was a ton of money in Country music, while other genres were in decline. Once that happened, it was all over. Plus, I see just as many 40 and 50 year old listening to Jason Aldean, as young folks. Meanwhile the audience at a Tyler Childers or Cody Jinks show is primarily young people. Your trying to connect cultural issues with shifts in Country music, but there is little evidence of a correlation. Somebody please….Join Reba and bring back the true country sound and please dont forget the good old cowboy music. It took many female artists to say “hey, I’ve got something to sing about, too!’. Many people today don’t know that Loretta Lynn was the first female country artist to have s LP certified Gold by RIAA, and first female Entertainer Of The Year back in 1972. I’ve been listening to the new Rea record on NPR and I AM SMILING . Not only is it a collection of well-written , emotion and experience -fueled songs but Reba makes sure those songs are the stars of the record- not her voice . And her voice is wonderfully restrained and honest throughout . And I haven’t even mentioned the superb arrangements , traditional instrumentation and fine ,fine production . THIS is the good stuff ….the stuff we’ve been crying for ….the stuff a younger demographic NEEDS to hear , if they get the opportunity through radio or streaming , and take note of . THIS is how its done when it really DOES start with a song and not a finger-snap hand-clap drum loop clone of the latest POP record . i have always been a Reba fan . Now I’m a Reba FAN ! Amen, Albert. I was going to comment but you said everything I wanted to say. I’ve spending a lot of time on that NPR link too. I agree!!! The country has not been the real country music. I quit listening if it is modern country. I love Reba.She has a beautiful voice. I can listen to her and Loretta Lynn all day. They are beautiful inside and out . Well look at that. Another sellout has come crawling back. Grumpy pants. You are not helping. She never sold out. She had big dreams. She chased them. She achieved them. That takes guts! It’s great to have Reba leading the charge for traditional country music again. I’d love to see this album win a Grammy! It’s one of the best of her career for sure. Other great songs on it are Swing All Night Long With You, In His Mind, and The Bar’s Gettin Lower. The Bar’s Getting Lower is probably the best song on the album. …….“Every time I would try to do something very country, the record label or somebody would want me to go more contemporary, or what mainstream was at the time, or what radio was playing at the time,”…so it’s just back to basics for me. It’s my heart. It’s me. At this stage, I’ve been wanting to do it forever. But finally I get to.”………. C’mon Honk, you know better – once that contract is signed, the label runs the show. @MH – She had enough clout after only a few years to record the types of songs she wanted to record. A major recording star has so much invested in his/her career and so many professionals and other workers participating in and depending on it that they have to make music that fits the market. Especially for someone like Reba McEntire who does not write songs or arrangements her music is a collaborative project. Agree with Honky, this sounds like totally pandering. Also, the quotes make her sound like an egoist and its about the career and not the music. And thirdly, stop it with the name dropping. We get it, its now cool to drop the names of the rhinestone country era. Start name dropping John Prine etc and i might listen. I don’t think it’s fair to fault someone for chasing dreams. That’s exactly what Reba did. As did Dolly. Now that Dolly is in her mid 70s people can’t get enough. She was chasing dreams also, then came back around to country/bluegrass. She achieved a lot. As did Reba. We should applaud people like that. Anyone seen a Reba show from the 1990s? How about her building downtown? How about her jet leasing company? Starstruck Farms? Everything under her Starstruck umbrella that including songwriters, producers, recording studios. The Reba brand of the 1990s employed a lot of folks. That’s a lot of people depending on you for a paycheck. I totally get why during those years you would crank out what’s popular and current. Reba stopped releasing traditional country songs like ‘You’re the First Time I’ve Thought About Leaving’ and ‘Little Rock’ and switched to string-laden power ballads like ‘And Still’ and ‘Forever Love’. And it worked. She reaped plenty of awards through using this strategy. She extended her brand into television and theatre and won even more fans. Now she’s second only to Dolly in status. To be clear, I’m not knocking either. Just this afternoon, I put Strait and Reba hits on my iPod. They’re songs for the ages. Glen Campbell did a rap song. George Strait’s new album is being considered for review. I think “Freedom” is one of the best singles on radio. PLAY IT! Do you consider it a country song? I am confused by the comments calling Reba a crossover artists and the comparisons of her music to Faith Hill. Reba’s singing and speaking voice is as country as it gets. I don’t remember hearing Reba having a single on Pop Top 40. I think “Freedom” shows a great COUNTRY voice singing better than half of these county/pop tarts half her age. Reba never had to pose in her bra on an album cover to get someone interested in her music. She has always kept it classy. I didn’t say anything about Faith Hill, but the Freedom reminds me of a Celine Dion song circa Falling into You. … except, I’ve been streaming the album on NPR and although there are a few exceptional country moments (there have always been a few country moments on everyone Reba album), it’s still the standard Reba formula for her albums: country, pop, and adult contemporary. I liken the album to ‘If You See Him’… some swings, waltzes, a lot of adult contemporary schmaltz and power ballads. We’ll get into the pitfalls of this album when Trig reviews it, but this narrative of this album being a return to her country roots is just false. It’s nowhere as near as country My Kind of Country or Have I Got a Deal for You. So I think Reba has got caught up in this manufactured narrative and will look silly in the end. Wow. Everything you have said has proven you know nothing about music. Especially Reba’s. The only thing that came close to being an old school country track on the album IF YOU SEE HIM was wrong night. The new album has at least four. Which makes me wonder if you’ve even heard it?! Lonely Alone was very country, too. The point being, there maybe a few more countrier tracks on this album than previous albums released of late, but it’s not as country as the media and Reba are letting us to believe. It’s slips right back into glossy, mawkish AC pretty quickly. My first concert was Reba in 1990 .. Reba, Ricky Van Shelton, and Doug Stone. I’ve seen her in concert 13 times (the last in 2008). So I know a little about Reba. Wow. I’m stunned off your comments. First off, If You See Him was produced by David Malloy. Google him and his previous work up to that point cira 1998. If You See Him (the album) was Reba’s most bombastic overproduced slick body of work possibly of her entire career. There is 1 country song on the album, “Wrong Night”. The song you speak of “Lonely Alone”, with it’s heavy climatic drums and again over production are NOT country. “Stronger Than The Truth” is the most thoroughly country production Reba’s done since the 1980s. It makes me question what speakers did you listen to the album on? Did you listen in entirety? It’s fiddle. Its Steel. It’s raw. It’s emotion. Reba’s longtime producer Tony Brown is also listed as a producer on ‘If You See Him’. I’d bet he had way more input than David Malloy on that album. And by have “Wrong Night” on that album doesn’t make it country, having 4-5 country tracks on ‘Stronger Than The Truth’ doesn’t make it a pure country album. I want to give Trig the opportunity to first post his review of the album, but I have a real hard time with classifying 5 songs on STTT as “country.” And that’s a lot when there’s this narrative of it being a return to her country roots. Tony Brown was only brought in to produce the title cut “If You See Him/If You See Her” for MCA Records and Tom DuBois brought in from Arista Records (Brooks & Dunn) The rest of the album was produced by David Malloy and given his slick pop sound. David Malloy also did the pop remixes of “And Still” and “Fallin Out Of Love” for the European market. Given that was the kind of music Reba was cranking out in her 1990s prime, it doesn’t seem fair to discredit Stronger Than The Truth as ‘not country enough’. Maybe we can agree it’s not 100% country, but it’s 100% more country than anything she’s put out in decades! It pretty damn country. Is Reba’s assertion that female artists simply aren’t working hard enough a fair assessment in 2019, especially in light of the “Tomatogate” controversy in 2015? Reba had numerous female contemporaries also getting radio airplay during her reign in the 80s and 90s (e.g., Martina McBride, Trisha Yearwood, Kathy Mattea, Lori Morgan, Roseanne Cash, Patty Loveless, etc.). However, the shift to heavily male-oriented radio playlists didn’t seem to start until the late 2000s with the likes of artists such as Keith Urban, Rascal Flatts, Blake Shelton, Brad Paisley, and the like dominating the charts while female acts popular in the early 2000s (e.g., Jo Dee Messina, Faith Hill, Sara Evans, Jamie O’Neal, Sherrié Austin, SHeDAISY, etc.) basically vanished. Are we to say these women stopped working hard and simply gave up? The mentality of radio executives, marketers, programmers, and analysts seemed to take a hard turn towards excluding women from radio, and we’re still feeling the effects over a decade later. Reba had a much more level playing field in the 80s and 90s that didn’t necessarily require fitting a certain mold or putting oneself in compromising positions to get ahead in the industry. Nowadays, unless a woman can be used as a Trojan Horse to inject pop into country or is pushed towards inappropriate relations for a career boost, no amount of hard work will seemingly get a woman on the radio unless she’s an Underwood or Lambert. So, Reba, it’s not that the women of modern country don’t want it as bad as you did; it’s that the deck is stacked against them. And then there’s also the thing about how not all female acts are going to sound the same. If there’s one thing that Nashville ought to get rid of something fierce, it’s this “cookie cutter” mentality the industry has. Reba is right that it takes certain life sacrifices to make being in the music business work out, that’s one thing for sure. But I would hope that no female artist ever has to sacrifice what makes themselves and their approach unique and authentic, or become a Miranda Lambert or Carrie Underwood clone, just so they can get “A Hit”. Granted that may be what radio programmers and their focus group mentality might want. But I kind of doubt that’s what the general public wants. There’s nothing at all new about a superstar artist going back to purer country or whatever when their career wanes. Dolly Parton did it, Ricky Skaggs did it (going back to bluegrass), Johnny Cash did the stripped-down stuff with Rick Ruben, Loretta’s done it–though she also went full metal rock or whatever that was with Jack White–Marty Stuart (who was not quite a superstar) did it. The list goes on. Yes, let’s get back to “real strong country. ” George Strait’s new album, “Honky Tonk Time Machine “, which I just downloaded, is a great start. More Pat Reedy, Luke Bell, Cody Jinks, Whitey Morgan, Tyler Childers, Colter Wall, Jason Eady. Less whatever the heck it is they’re playing on mainstream radio on a daily basis. The label Big Machine has A LOT to do w pop/bro country. They are the worst supporters of her & Ronnie Dunn who is on the label. I can listen to Reba’s music but cannot stand to watch her live. Sorry but she is back peddling, she could have controlled her career. You know I wish some people would take the time and think before they write. A man who sings the same way for 45 years (George Strait) is praised for keeping traditional country alive and a woman who sings the same way for 45 years lost their career 35 years ago. A woman who sings the same way for 45 years is considered too old, unable to keep up with the times. If that same woman tries to sing modern country they’re desperate individuals doing their best to act young when they’re not. Women have to play a whole different game than men do. Women have to look younger than they actually are, be in great shape, be active on stage, promote their work, and find outside avenues to survive. Men have to put on a t-shirt and walk on stage. George Strait has a great traditional sound and is considered the King of Country and Reba the Queen. George strait hasn’t done any interviews or press for his new album and Reba has done interviews, talk shows, concerts, social media, and everything in between. At 64 Reba is promoting her work like she’s in her 20’s and its because she has no choice. I would also like to add Reba is hosting the ACM awards for the 16th time and is out there promoting the show which brings in millions of people in to see artist like Ashely McBryde who need the attention of millions. Tammy Wynette kind of Pain, In His mind, Stronger than the truth are as country as it gets. People who say Reba sold out don’t listen to her music outside the singles because if they did they would find songs like Moving Oleta, Just like them horses, love land, The day she got divorced, She got drunk last night, I need to talk to you, and Mary Did you Know with Amy grant and Vince Gill, spread over different albums. Reba’s female contemporaries of the 80’s, 90’s, and early 2000’s are gone. Reba has survived. Let’s not pretend that Women have the same options as men, a woman who wants to have a career longer than the decade has to find ways to stay traditional and contemporary in a industry that is looking to put them out to pasture. You make a good point. The thought of a woman artist continuing to be a major label album, and headline touring artist in her late 60’s, 70’s–or even ’80s–a la Dylan, the Rolling Stones, Tony Bennett or Willie Nelson is hard to fathom. But while there are those few male stars who can go on and on, the majority are in the same boat as the women. Most of the male country hitmakers from the ’90s–the Mark’s, Joes, Sammys, Tracys (and even Clint and Travis) –got drummed out once they got double-chins and can’t even get a record deal now. The industry is hard on both men and women. I’ve always said a woman is lucky to get 10 years of successful radio play and a man about 15-20. Reba and George Strait are the select few who find success across multiple decades. Unless Carrie proves otherwise (she’s been around now for close to fifteen years), it just may be that the days of any female singer having a career of the length of Loretta Lynn, Dolly Parton, or Linda Ronstadt are over forever. I think this would have been true whether sexism existed in the industry or not, because so much has changed so rapidly. But like I said earlier, no female artist should have to sacrifice who they are and what their sound is, just for the purposes of getting a hit song or a hit album, for whatever the length of their recording career is. I’ve always loved Reba, but she is partially to blame for the more pop-like direction in which her career went. It was all calculated to increase her mass cultural appeal, along with the TV shows in which she starred. However, I have felt for many years that women have to try to broaden their appeal more so than men in the country music field, because men won’t typically buy female performers’ music, so their sales potential within the genre is more limited. When Faith Hill and Shania crossed over into more pop-sounding music, their sales and chart success took off. “Breathe” was #1 on the AC chart for 26 consecutive weeks. Shania had two Diamond sales albums. It didn’t hurt that they were visual stunners either, but that only backs up that they have to do more to sell records than men do. They gotta look good, whereas some sleepy-eyed, just dragged out of bed, dumped-off-a-pickup-looking Jason Aldean can become Artist of the Decade. Hilarious. The men face the double-chin problem. And I agree with the comment. They just don’t seem to whine about it as much as the females. Concerning Reba, kudos to her. I personally cannot stand to hear her sing. No slight against her talent or authenticity. I just cannot stand her voice but that is a personal taste and not indicative of her achievements. I wish her well and hope her album does indeed do what we all hope it does. Anything helps in getting back to what many of us really like. A million thanks goes out to Reba McEntire! Dave, you also had George Strait do stuff such as “Ocean Front Property,” “Unwound,” “All My Ex’s Live In Texas,” “Amarillo By Morning,” “Am I Blue,” “Down and Out,” “If You’re Thinkin’ You Want a Stranger There’s One Coming Home,” etc. On top of it all, Reba did release “You Lift Me Up To Heaven” which is something that the Fifth Dimension would’ve done if that would have come out in the 1960s-70s.